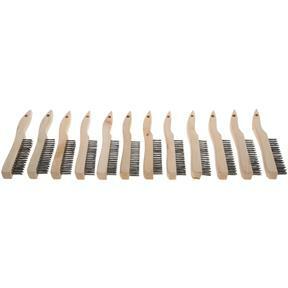 These wooden hand brushes are perfect for cleaning off rust, residues, and burrs, as well as preparing a surface for conditioning. 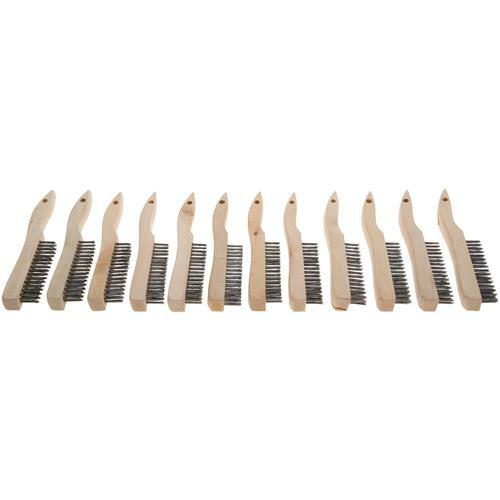 These brushes feature four rows of 16 steel bristles and an overall length of 10-1/4". 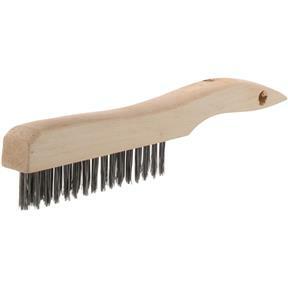 Shoe handle means it dips down after the brush for comfort in handling. 12 pack.